Porcelain veneers or porcelain laminates are a thin porcelain covering over the front surfaces of your teeth. 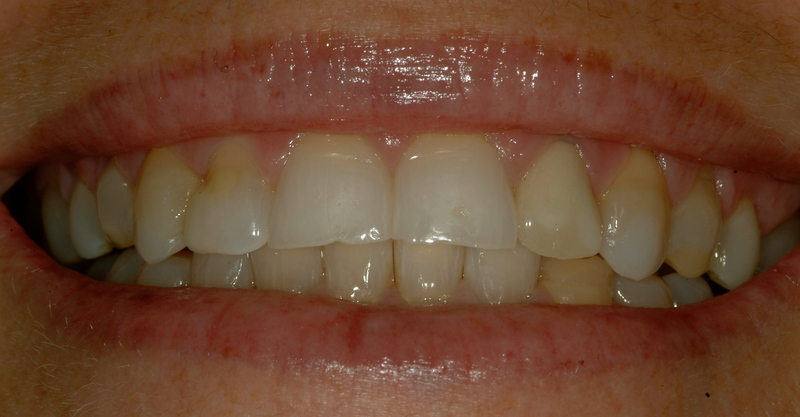 Porcelain veneers are very strong and durable, being one of modern dentistry’s longest lasting restorations. Porcelain veneers are made in the laboratory over a 2-week period, although with special arrangements the time between the first visit and the second can be much shorter. Between visits you would wear provisional veneers customized for you. These provisional allow us to preview the much more beautiful porcelain by seeing how they fit your face for tooth size, shape, length, and color. Just as in composite bonding, we can take care of chips, gaps, stains, discoloration, and crooked teeth. However, porcelain veneers will give you stronger and longer lasting restorations. Porcelain veneers will not stain or change color. When possible, Dr. Lamberton strives to give patients what is know as “No-Prep Veneers.” This is a more conservative type of veneer where little to no enamel is removed during tooth preparation for the restorations.